Point of sale system have completely redefined the way you shop by allowing the customers to pay directly through debit and credit cards. It comprises of a cash register, card swiper, a printer for printing receipts and a cash drawer. It’s a place where sales take place more like a checkout counter which has made the handling of transactions easier. Point of sale system play a great role in Retail or wholesale store industry, where generally the customers are higher in number than the number of checkout counters; this is why, a smooth, fast and efficient sale software is needed. To manage and create a perfect Point of sale system for your business venture, LogicSpice is here to help you. We can help you with any type of point of sale pos software to satiate your needs. 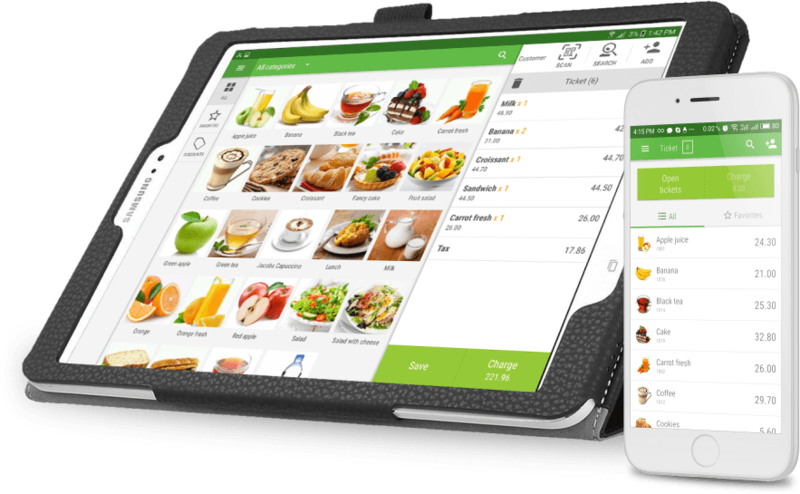 LogicSpice is one of the leading IT companies that can provide you with mobile point of sale systems software & point of sale computer software to help you enhance your business. Our POS software help you to generate billing in a better manner and also keep a better watch on inventory systems. Our POS software help you to keep a track on your sales with ease and aplomb. Make easy for customers for returns, refunds and email receipts by using this software. Accept payment through debit card, credit card and gift cards and go cashless with this digital system. Continue your sales when internet goes down, it will automatically resync your sales when online. Add products, Edit products, remove products, Edit title, include images & description. Use automated reordering, restocking, reorder points to manage everything automatically without any hassle. View purchase history, balance and make a group of those customers to communicate with them in future. Allow to make user account so they can manage their purchase and account details. You can generate monthly statements about the sales record to make a check about the progress of your sales. Set goals of selling and monitor the date that how much you have achieved at the end of month. Extend your operations by adding more add-ons on this POS software to give more ease to customers. This software will work worldwide with multi currency support to engage more audience. What’s the meaning of POS? POS means Point of Sale; it’s a place where the sales take place. On macro level, it can be referred to a Mall, market, etc. and on micro level, a retailer store’s checkout counter. What is a POS Device? A POS Device is an electronic component which is used to accept card payments at various locations. It reads the information on the cards – debit or credit, checks the bank server for sufficient funds and transfers it from customer's account to the seller’s account. What does a POS system includes? The POS system comprises of a point of sale software, computer, cash register, monitor, cash drawer, printer for receipts, client display, card reader and a barcode scanner. Yes, absolutely. To ensure your data is completely secured, we apply a multi-layer approach for data protection.